ALERT: 10-Day Smoothie Cleanse By J.J Smith HIJACKED By Scammers! You are here: Home / Blog / ALERT: 10-Day Smoothie Cleanse By J.J Smith HIJACKED By Scammers! This is a critical warning to New York Times bestselling author J.J Smith, her fans and others who want to lose weight: 10-Day Smoothie Cleanse, a legitimate weight loss eBook written by Smith, has been hijacked (or duplicated) by scammers, who are now marketing it on Clickbank! I have no doubt that the people behind this awful scam also created The 3-Week Diet, a scam previously exposed here on Contra Health Scam. Please take your time and read this review-scam alert to the end, as this will save you a lot of time and money, as well as J.J Smith’s hard work! The 10-Day Smoothie Cleanse impostor website (10daysmoothiecleanse.com) was created in June 2015 by someone in 14747 N Northsight Blvd Suite 111, PMB 309 Scottsdale, Arizona, this according to the Who.is Data. This is the same address of the person who registered The 3-Week Diet. Speaking of the presentation video, it is so full of crap: Half-truths, the allegation that the ‘big pharma’ has been feeding everyone with an unnamed ‘toxin’ since our childhood, etc. But the most interesting thing about this thankfully-short video is that the name of the owner of the product was never mentioned – a clear indication that the scammer knows that he/she is stealing a famous person’s work and so doesn’t want anyone to trace its origin. Well the scammer has run out of luck … as Contra Health Scam is here to expose it to the public for what it really is! While trying to leave the website, a pop-up prevents you from leaving. Then you are shown a video of a beautiful lady with a sweet voice offering you a $10 discount on a $47 product while at the same time trying to convince you that your money will be refunded within 60 days if you are not satisfied with the product. Now let me remind you that this 60-day money back guarantee is the policy of Clickbank and NOT of the impostor 10-Day Smoothie Cleanse. This policy has been converted to a marketing tactic by scammers, who now use it to convince their potential victims to fall into their nasty trap. In this pop-up page, the scammer explains that he/she is giving you the discount because he/she ‘cares.’ Well if the scammer really cared, he/she would not have gone as far as stealing the work of someone else. This is not even plagiarism. This is outright theft! The scammer also applied the ever-present pressure tactic: Close the page and you’ll miss the opportunity to get a $10 discount. We’ll see about that in a moment. I tried to close the page again … but another pop-up prevented that from happening. Then I was offered a massive $30 discount on an already-discounted price … meaning that I can now buy the 10-Day Smoothie Cleanse for $17! What happened to the ‘you’ll miss the opportunity of a $10 discount’ warning if you close the first pop-up page? Final Conclusion: 10-Day Smoothie Cleanse Marketed on Clickbank is A SCAM! As you can see above, I did NOT say that the 10-Day Smoothie Cleanse itself is a scam. This is because it is actually a great weight loss book written by nutritionist and weight loss expert J.J Smith, which transformed her into a best-selling author. According to the biography on her official website, J.J Smith is a best-selling author, certified nutritionist and weight loss expert, a passionate life/relationship coach and motivational speaker. She holds a degree in Mathematics from Hampton University, West Virginia. Smith got her nutritionist certification from the Institute of Holistic Healing, and her weight loss expert certification from National Exercise and Sports Trainers Association (NESTA). She is also a member of the American Nutrition Association (ANA). Smith has appeared in numerous TV shows and has been featured in several news journals. These include The Steve Harvey Show, The View, NBC, FOX CNBC among others. 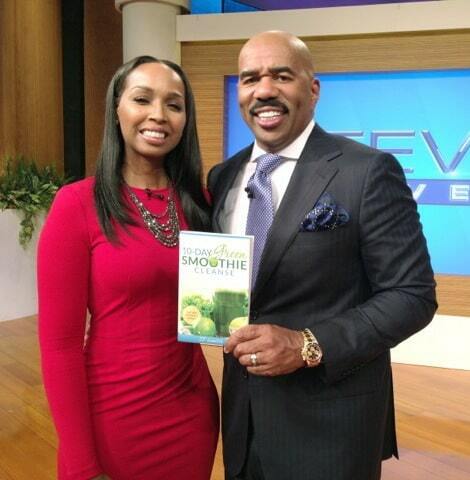 Her weight loss book, 10-Day Smoothie Cleanse, became the No. 1 NY Times bestseller as at the time it was published. As at April 28, 2016, it is ranked No. 4. Where Can I Buy the Real 10-Day Smoothie Cleanse? J.J Smith’s book is available for purchase at Amazon, Amazon Kindle, Nook by Barnes & Noble, iTunes, Blio, BAM!, and Google Play. 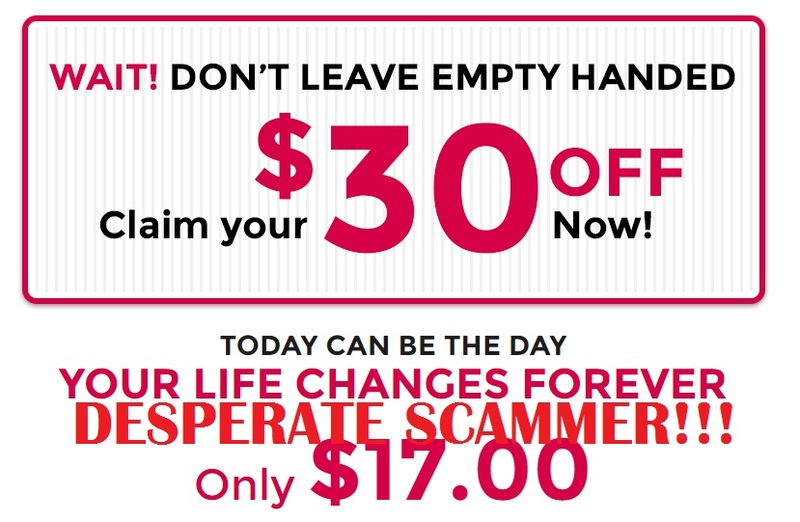 The price is just $10.99 … which is far lower than the heavily discounted $17 price of the scammer who ‘cares’! First of all, Smith should alert her followers about the existence of a fake clone of her book. She should immediately contact Clickbank, requesting for the scam product to be removed immediately from their marketplace. If they refuse to comply, she should sue the company. She should write to Godaddy.com, the registrar of the impostor 10-Day Smoothie Cleanse domain, to immediately de-register it and ban the IP of the registrant. As an added measure, she can buy the domain herself and trademark it. I hope Smith reads this review and takes action to protect her book and her own integrity. You can help her by sharing this alert to the relevant social media communities and platforms so that people will know about it and stay away.